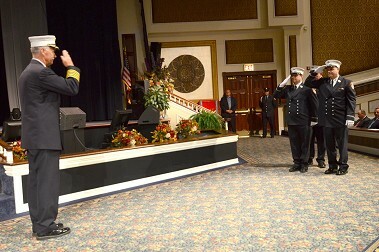 Banners of congratulations covered the walls of the Christian Cultural Center on July 25 to celebrate the promotion of two deputy chiefs, 10 captains and 32 lieutenants. The promoted members have 570 years of experience with the Department. Among those promoted to captain were brothers James and Jack Halaby. Capt. 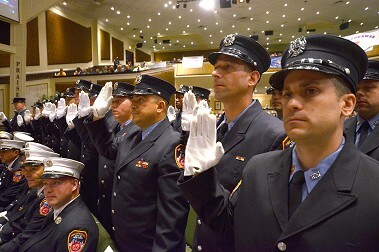 James Halaby, a 23-year veteran of the FDNY, said he was the one who urged his younger brother to join the Department, noting, “I’m happy to see him succeed in everything he does.